Rancho Los Cerritos, known for its well-preserved adobe, is turning 175 in 2019, and the year will be filled with a slate of special events to celebrate the anniversary. Throughout 2019, rotating exhibits in RLC’s library will reflect on the history of Long Beach and the Rancho, and a series of special anniversary-related events will culminate on September 28 with a festival, complete with activities, art, music, and more. After marrying a relative of the Nieto family—the original recipients of the land grant in 1784—John Temple constructed the Monterey-style adobe home. The 27,000-acre ranch reached from present-day Paramount to the Pacific Ocean and was a working cattle ranch. Temple, who became a Mexican citizen—at least on paper—in order to buy the land, actually lived in the Pueblo of Los Angeles. Rancho Los Cerritos was occupied primarily by the ranch’s foreman, unless Temple and his family were visiting on ranch business. John Temple later sold the property to Flint, Bixby and Company. The Bixby family lived on the Rancho and raised sheep there until 1881. It was remodeled in 1930 and a new generation of Bixby family members lived in the house until 1955, when it was donated to the city. Today, the museum is operated by the Rancho Los Cerritos Foundation, a nonprofit organization, in partnership with the City of Long Beach. 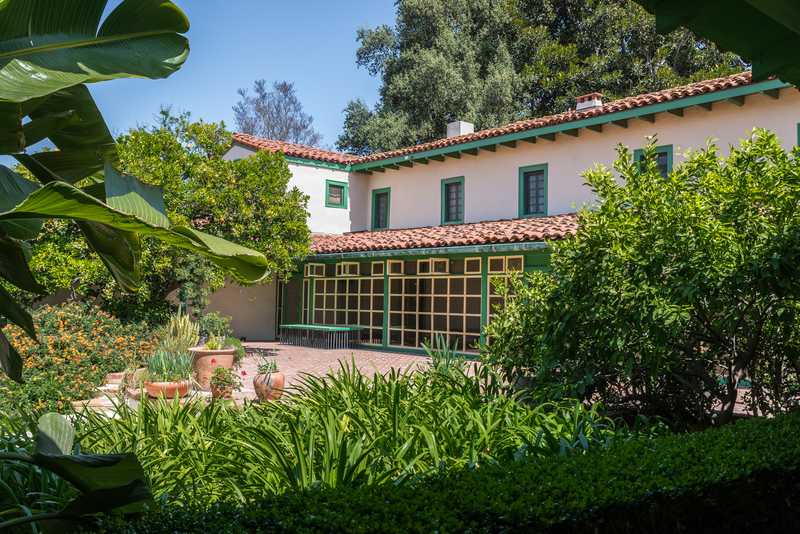 “During the last 175 years, Rancho Los Cerritos has borne witness to the creation of Long Beach as we know it, and the Rancho reflects the diverse history of all the people who lived in and around Long Beach from the mid-19thcentury through the 1930s,” said Alison Bruesehoff, RLC Executive Director. 2019 also marks the beginning of an innovative environmental project, funded in large part with a $1 million Port of Long Beach grant. The project, which will take four years to complete, will allow RLC to retain up to 95% of rainfall on site, reducing runoff and pollution. “We recognize our place as stewards of history, and want to make the Rancho sustainable and relevant for another 175 years,” Bruesehoff said.